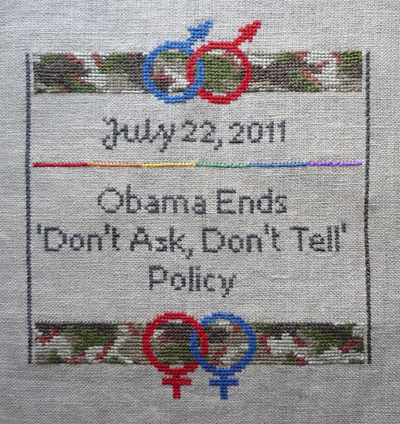 Samplers recalls the tradition in early America when the making of a sampler marked a young girl’s training in the household arts as she made the transition from childhood to womanhood. 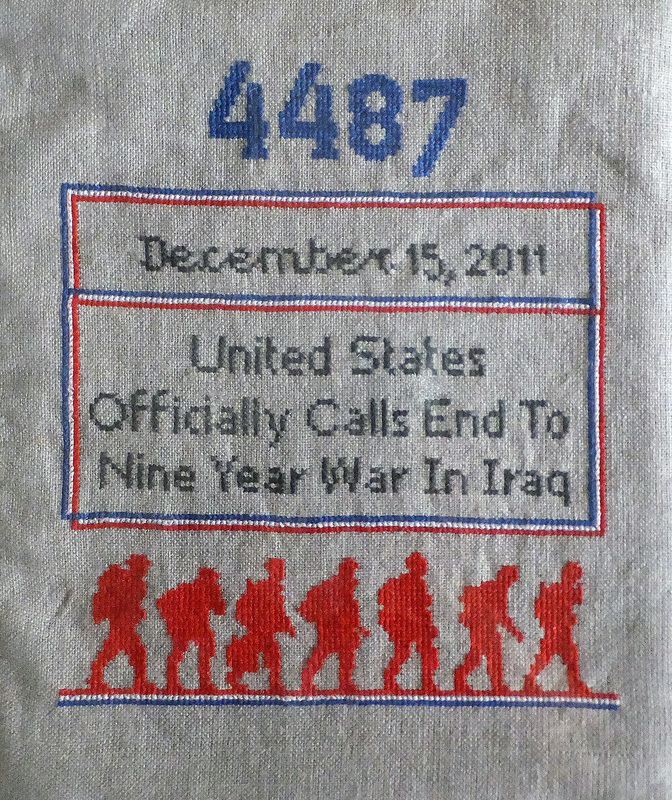 Samplers often commemorated important events such as a marriage, a new home, or the birth of a child. 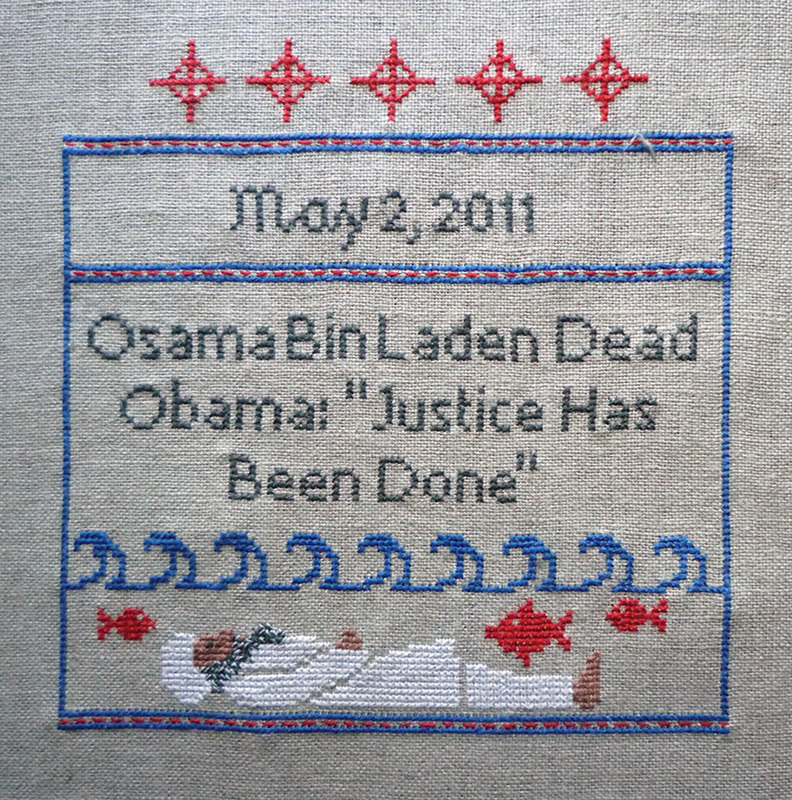 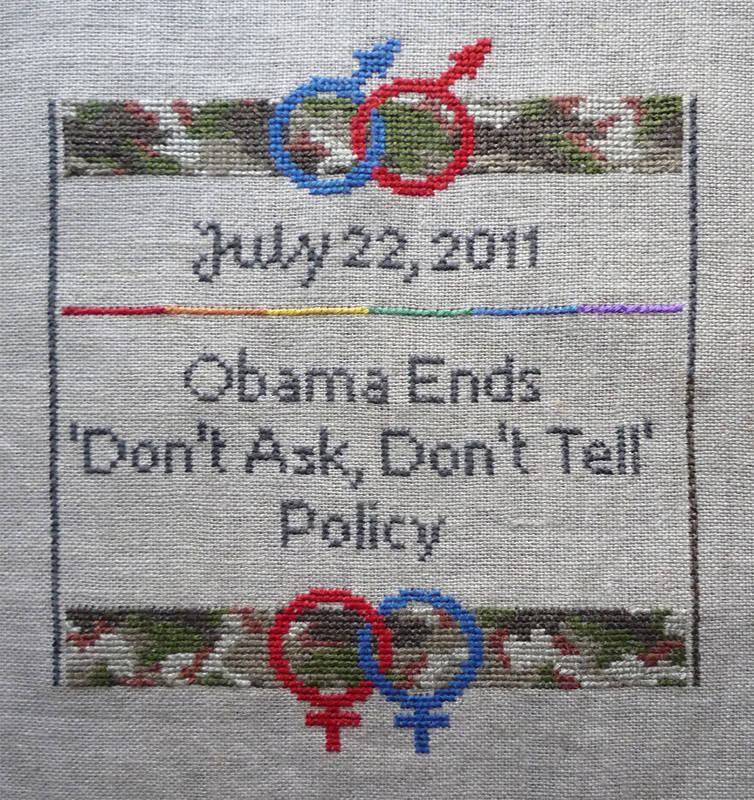 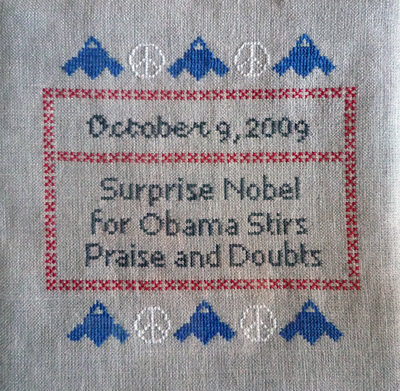 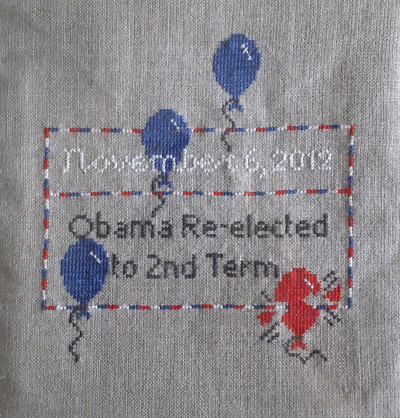 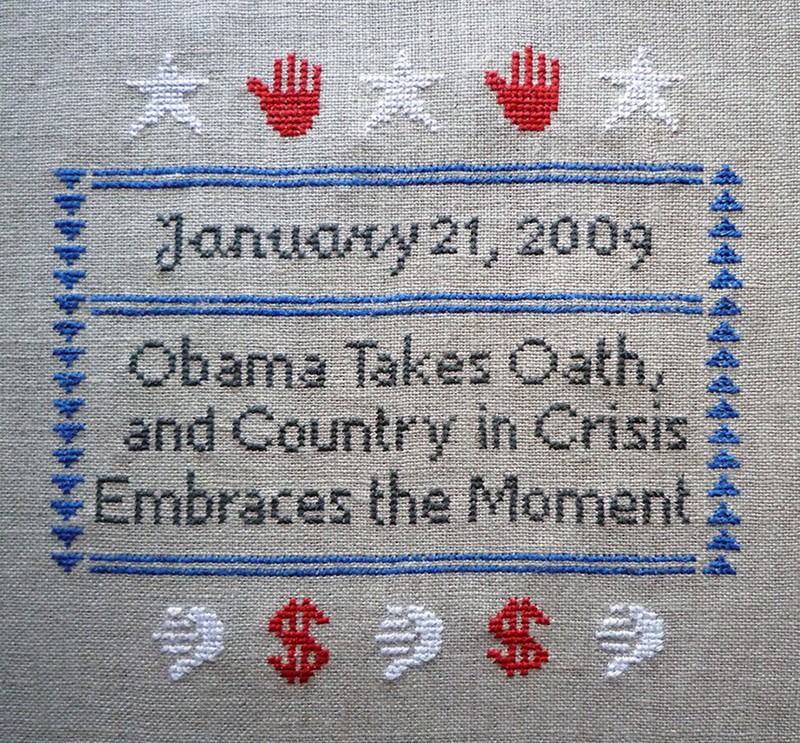 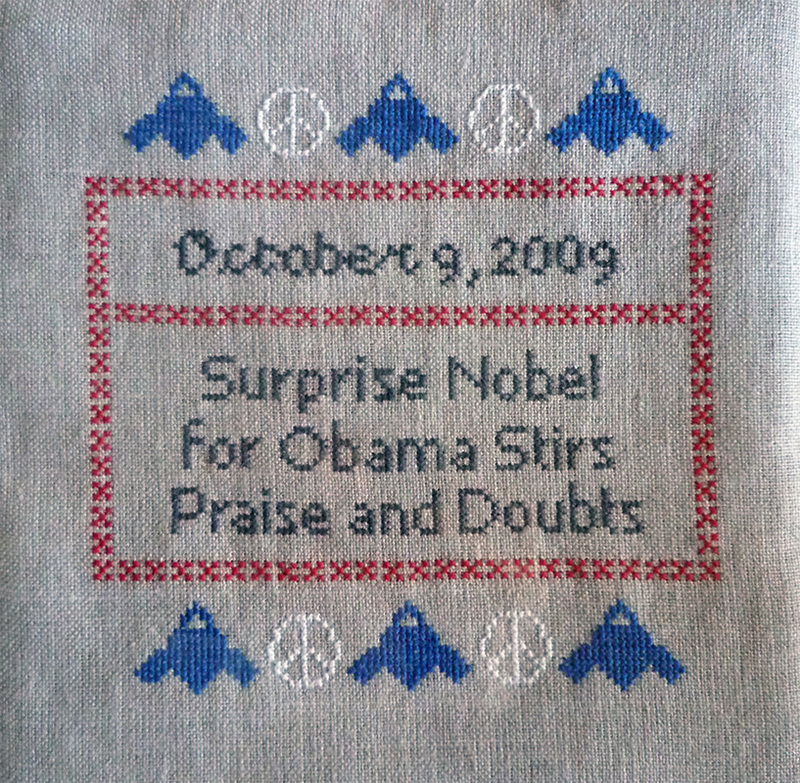 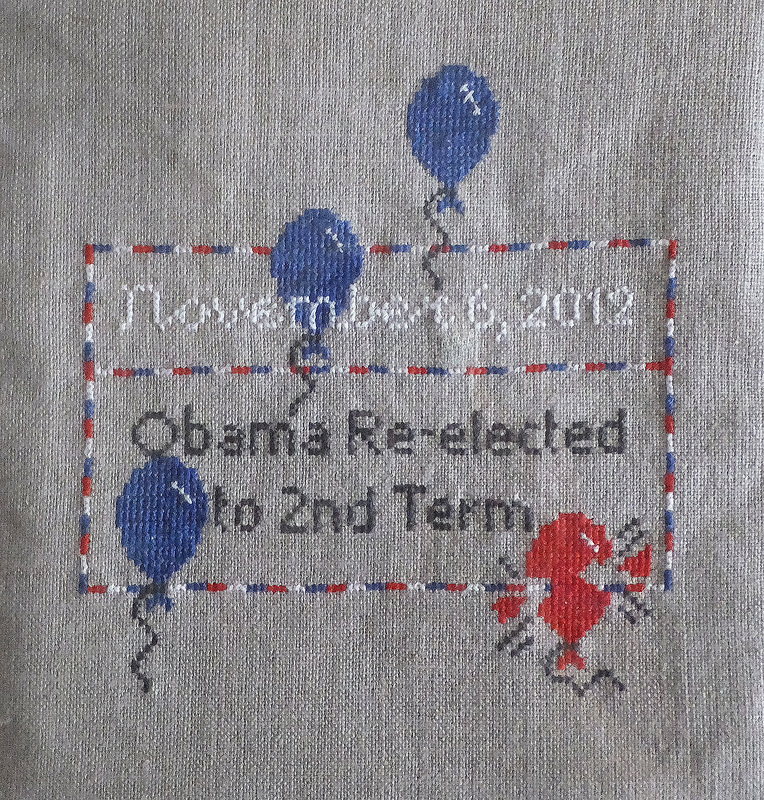 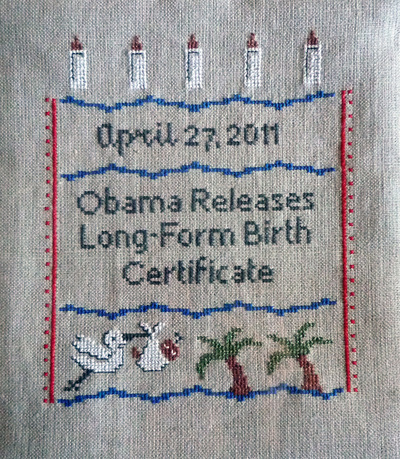 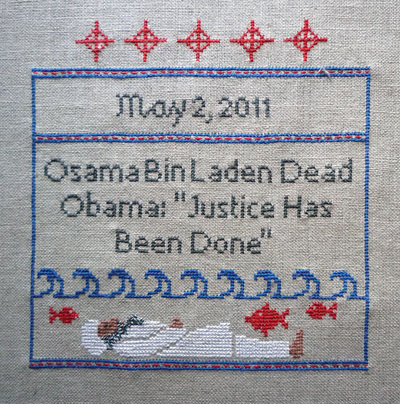 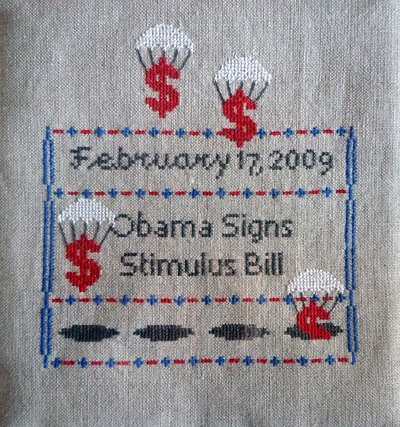 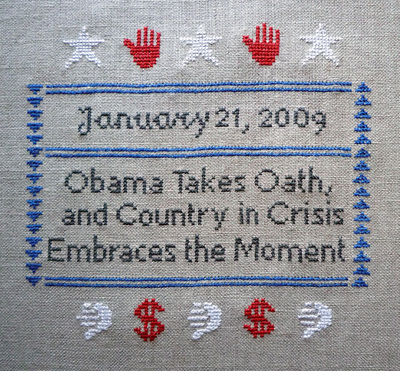 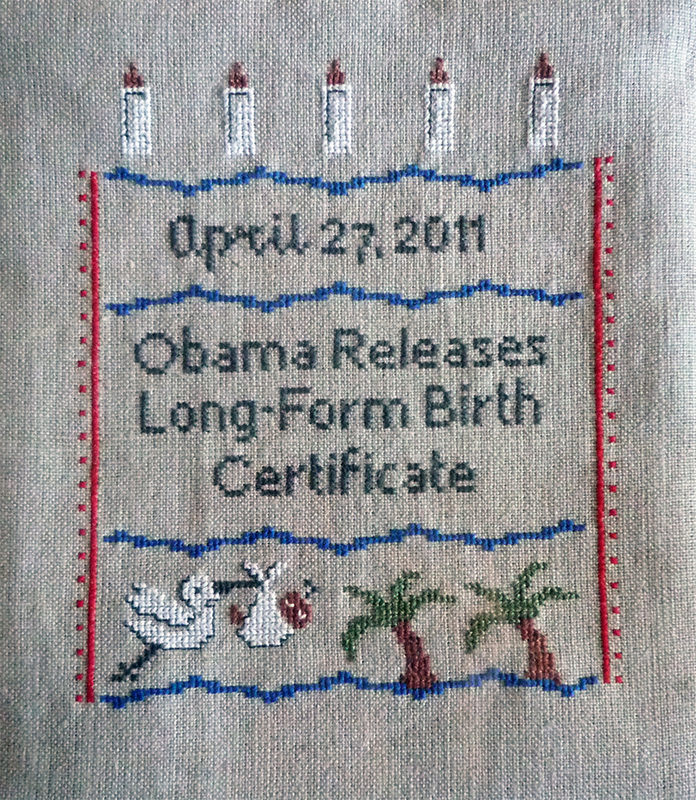 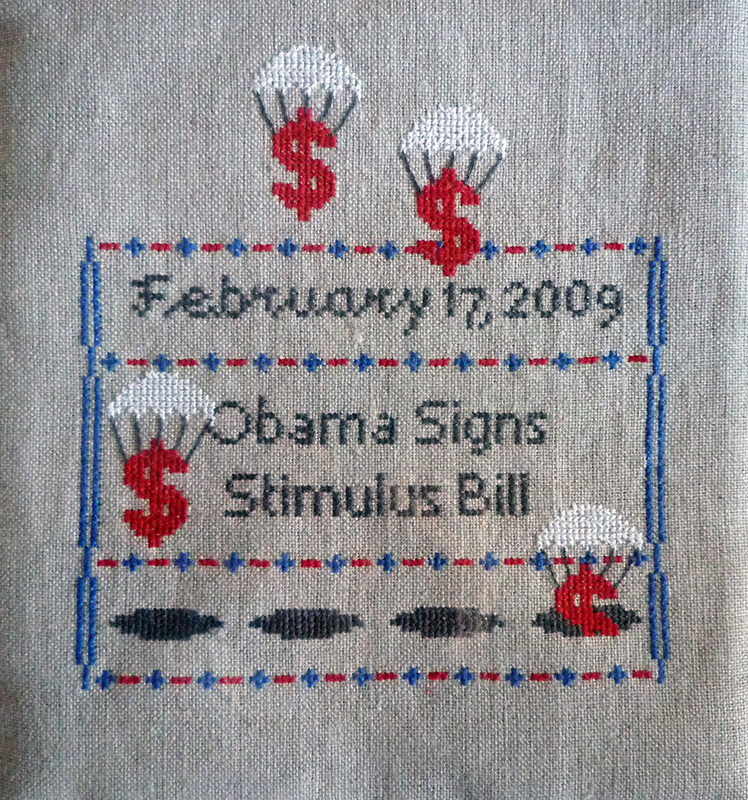 This collection employs this tradition using real headlines from the New York Times from 2009 – 2012, the first administration of Barack Obama. 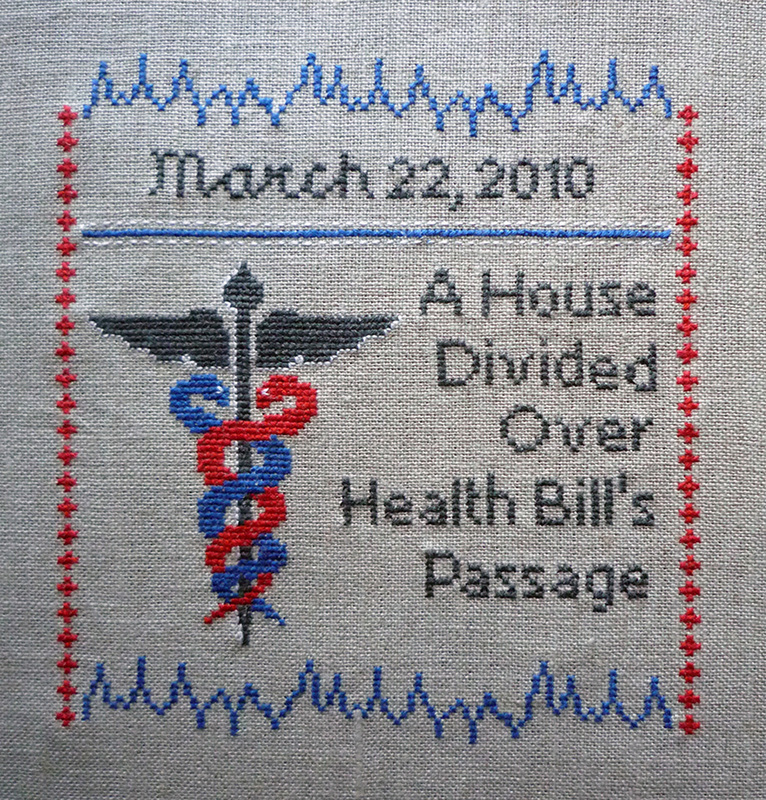 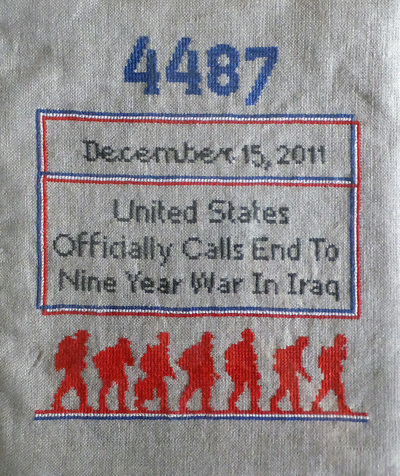 The text paired with the sewn images portray the turn of events marked by each sampler, and both support and question the currents of those times.